For thirty years, IBS has assembled the expertise, tools and skills required to meet the diverse implantation needs of global clients. Every year, the company continues to develop this technology to keep pace with the growing needs of the industry: implantation expertise. Additionally, the development of services dedicated to equipment maintenance and spare parts has naturally led IBS to be able to respond to almost any implant related challenge. Knowledge and mastery of a wide variety of equipment types and vintages also gives IBS the capability to propose innovative and cost saving upgrades and retrofit services. 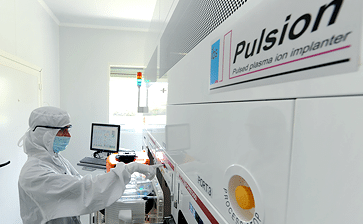 IBS’s positioning as a manufacturer of new-generation equipment, such as PULSION® and IMC™ validates its leadership in ion implantation technology, and offers its clients unique expertise to accompany them effectively in facing today’s and tomorrow’s challenges. Thanks boundless curiosity and passion, IBS has earned a position among ion implantation leaders. 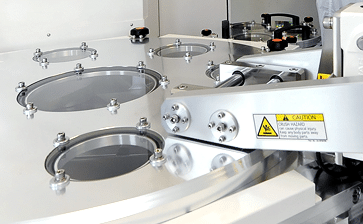 We are the only company to date offering both outsourced and manufacturing services and state-of-the-art equipment. 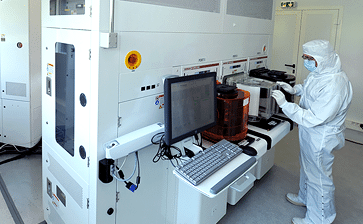 Thanks to a visionary outlook, IBS maintains its lead, whether with the PULSION® machine through its success during tests at CEA-LETI and at the premises of a world leader in microelectronics, or with the IMC™ system, whose sales growth give it a key role in advanced technologies such as sensors or silicon carbide power electronics. IBS’s international presence supports the agile deployment of expertise and local support, necessary to make it a valuable ally for its customers. 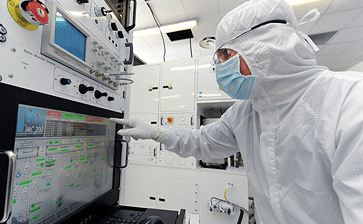 The emergence of nanotechnology has pushed ion implantation to be a critical enabling engineering technique for materials at the nanoscale. Implantation is required to enable the development of innovative processes in these advanced technical areas. The emerging markets of The Internet of Things, autonomous vehicles, smart homes, and the current challenges relating to the storage and transport of data, all drive systematic and complex microelectronics requirements. From production to end users, the efficient management of electrical energy is at the heart of the energy transition. Ion implantation plays a role in the development of new components used throughout the energy efficiency chain. 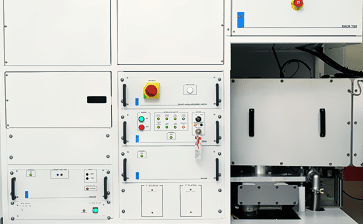 This ranges from an increasing the efficiency of photovoltaic cells, improving the performance of power transistors used in converters and modifying materials for storage batteries. With these rapidly evolving technologies, manufacturers must constantly develop new components and advance their core technologies. As the result of thirty years of expertise and continuous research towards innovation, IBS gives its customers the agility they need. Our implant services division, along with IMC™ and PULSION® implant systems, meet these new challenges with comprehensive solutions. 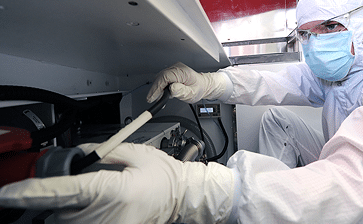 Whether it is offering new species to implant, designing processes and equipment to keep up with the technological diversification in nanoelectronics, mastering new materials such as silicon carbide in power electronics or the manufacture of high-performance solar cells, IBS has the expertise and capability to be your best partner. Developing innovative processes in a wide variety of implant areas calls for a global approach. IBS has built an organization capable of responding with experts at every link on the value chain of its core business: ion implantation. Implant services supporting research institutions, small volumes production of new processes, maintenance and retrofitting of equipments, sales of spare parts and the manufacturing of cutting-edge equipment dedicated to high-tech: all drive the IBS ecosystem to provide its clients the best in ion implantation. IBS capabilities are also enhanced through the teams’ extended expertise, which enables the company to develop new expertise such as in the field of energy efficiency. 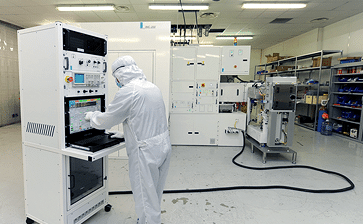 IBS proves its value as a partner by producing essential process tools and technology for energy independence and CO2 reduction, such as manufacturing systems for solar panels, batteries and power components. IBS’s organization also meets the requirements of globalization in emerging markets. With deployment through offices abroad, IBS offers its clients local response and support. Since 1987, the IBS team has been composed of loyal, curious, and tenacious physicists and engineers specializing in ion implantation. Solid experience offers a wealth of focused know-how ready to tackle current and future challenges. At IBS, specialization interacts with long-term vision to constantly stay one step ahead of customer challenges. 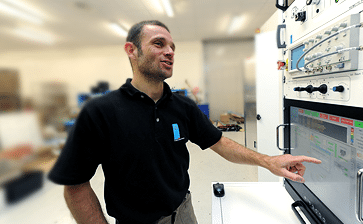 Laurent has always been passionate about Physics and was rapidly convinced that his education ( Master in Physics , Doctor Engineer from CENTRALE Marseille) and his vision should lead him to create IBS . Then he constantly innovated ideas and solutions to drive IBS to become recognized as a leading player in the field of ion implantation. 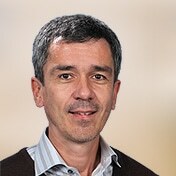 Gilles joined IBS from the year of its creation in 1987. With a PhD in Materials Science , he contributes to innovation in IBS solutions which results in new products, patents and the IBS publication port folio . 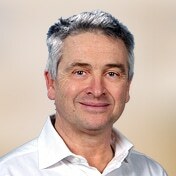 Gilles is currently responsible for the development, manufacturing and commercialization of new ion implantation tools. 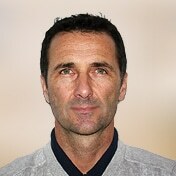 Philippe Mollard joined IBS as Financial director in 2009. He oversees the financial and legal activities, guarantees the relevance and the implementation of the board strategy, ensures that the decisions of IBS are based on robust financial criteria, and are executed and measured. Philippe previously held the position of Treasurer for Europe at Atmel corp, a Nasdaq listed designer and manufacturer of microcontrollers. He is graduated from Kedge Business School (EQUIS/AMBA/AACSB). 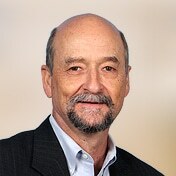 Dean holds 38 years of Marketing and Field Operations experience in semiconductor equipment companies (Tektronix, Megatest, Lam Research, KLA-TENCOR ). His skills and experience have been applied to the development of the PULSION system and to introduce PULSION to leading edge semiconductor companies. Gordon’s experiences acquired within semiconductor equipment companies such as CONSARC ENGINEERING, RETRONIX UK, LAM RESEARCH allows him to focus IBS UK business development as well as the management of the industrial site at Bathgate, Scotland. Cyrille is responsible for IBS ASIA. 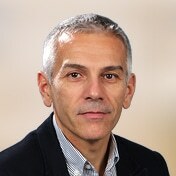 Before joining IBS, he served as general manager at RECIF TECHNOLOGIES (TAWAIN), technical officer at THALES ALENIA SPACE and China contact for AIRBUS DEFENSE & SPACE. He holds an engineering degree from SUP'AERO plus MBA from INSEAD CHINA and has a MASTER’s degree in Chinese. Frank plays a cross-functional role within IBS. 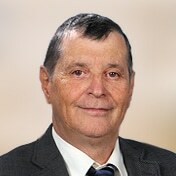 He is a world known specialist of the Plasma Immersion Ion Implantation (PIII) process and is the inventor of the PULSION system, which runs this technology. Frank also handles the management of the R&D programs and the intellectual property of IBS. 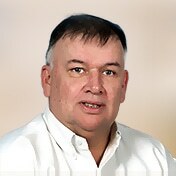 Frank holds a PhD in Physics of Materials and ENSAM Engineer degree . He also brings broad professional experience in Microelectronics to IBS . 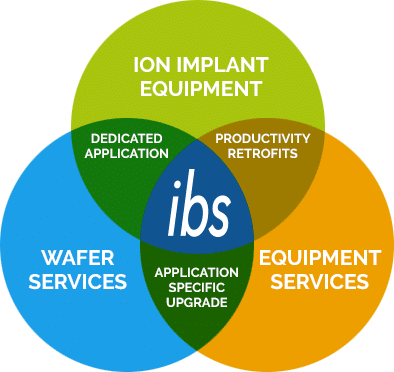 IBS obtained ISO 9001 certification in July 2006 for ion implantation subcontracting and manufacture of electronic components, which has been extended to maintenance of ion implanter sub-assemblies in 2015. As per today, IBS is fully certified ISO 9001-2015 on all its activities and business units. Beyond this certification stands the IBS team’s entire company culture, founded on quality. 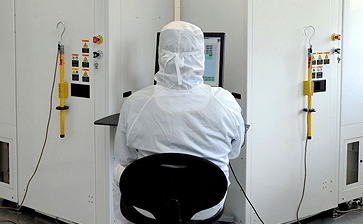 Since the results of ion implantation cannot be verified without destructive testing, our upstream quality assurance program is indispensable to guarantee each operation. For thirty years IBS has established all of the safeguards necessary to ensure the conditions for success: regular inspection of the hardware systems, tests on its own products to gather quality statistics and the best training for its teams. This proactive approach reflects IBS’s commitment and makes the company a trusted ally for its clients. Link to ISO 9001-2015 certificate. IBS guarantees the safety of the environment and participates in its protection.